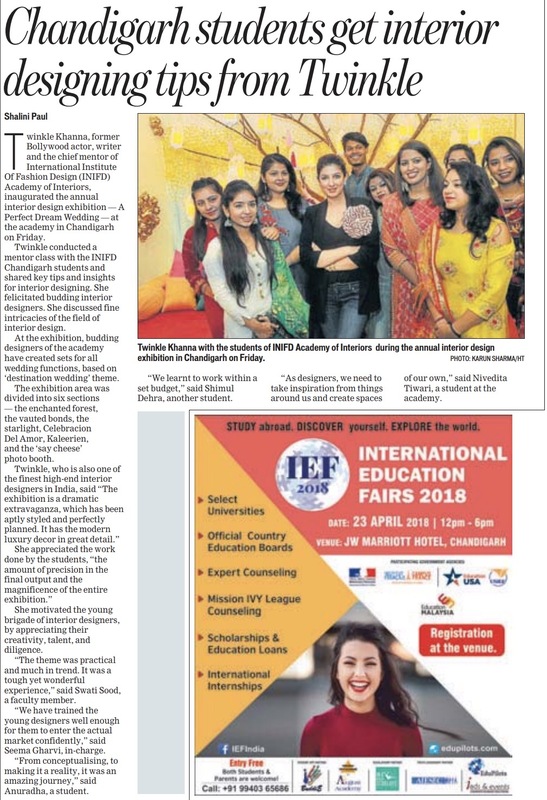 Chandigarh, April 20, 2018: Star celebrity & Chief Mentor Twinkle Khanna formally inaugurated and felicitated the budding INIFD Interior Designers – the Creators of INIFD Academy of Interiors Annual Exhibition “A Perfect Dream Wedding”. 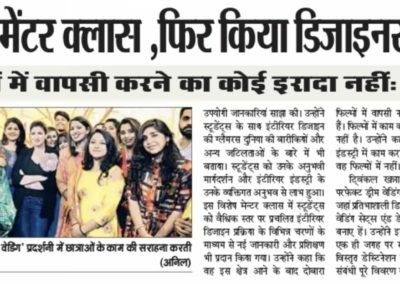 As the Chief Mentor of Academy of Interiors, Twinkle Khanna also conducted a Mentor Class with INIFD Chandigarh students and while interacting with them she shared vital details and insights of the Interior Design world with the students. 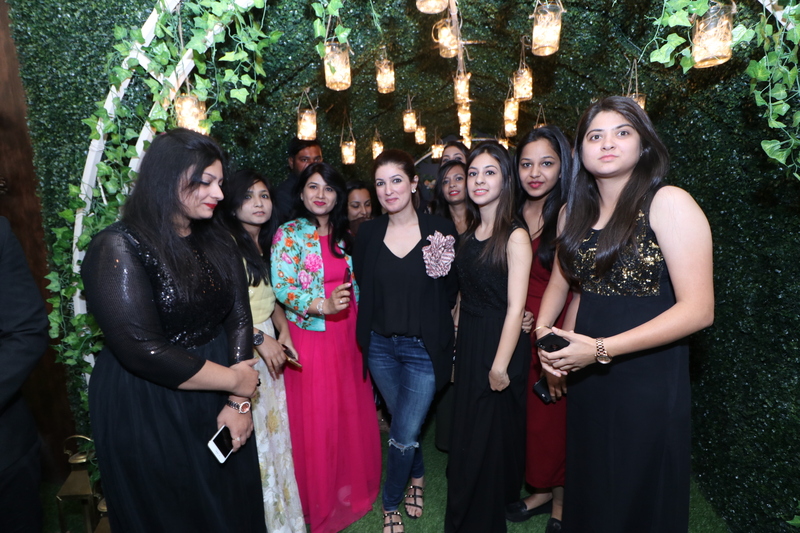 She shared the finer intricacies of the glamorous world of Interior Design with the students. 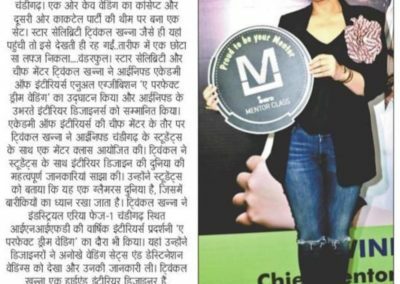 Students benefitted from her seasoned guidance and her personal experience of Interior industry. In this specialised Mentor Class students were taken through the different stages of the Interior Design process prevailing today globally. 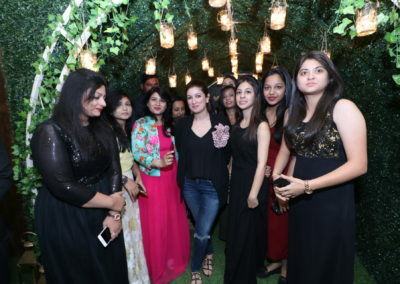 Twinkle Khanna also visited INIFD Annual Interiors’ Exhibition “A Perfect Dream Wedding” where the Budding designers of INIFD Academy of Interiors have created unique Wedding Sets and Destination Weddings, all under one roof with exclusive picturesque settings, elaborate Destination Weddings and bespoke details for the celebrations which are the need of the hour. 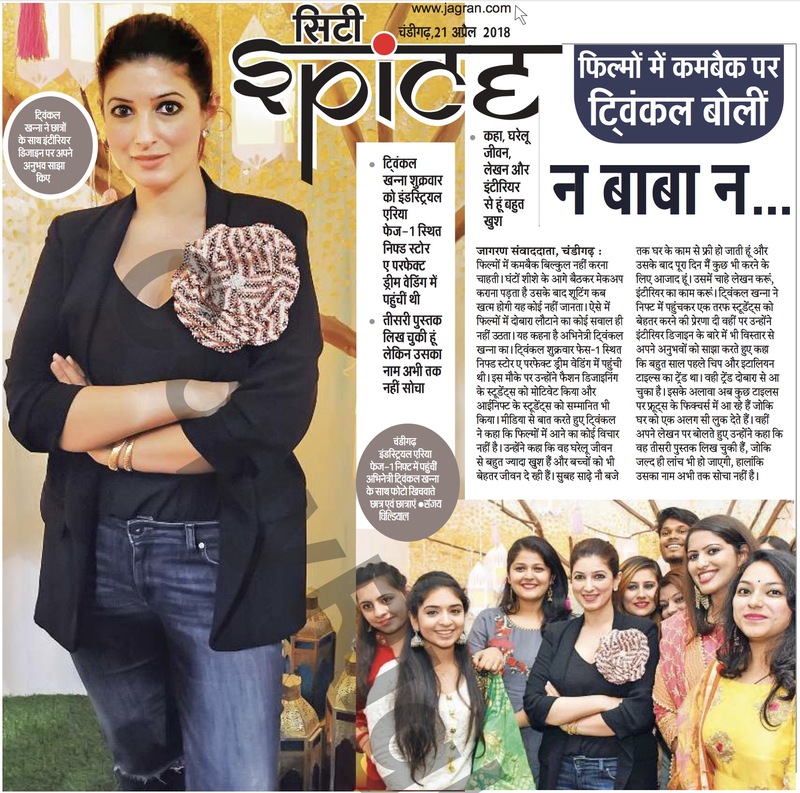 Twinkle Khanna the most high-end Interior Designer was very impressed with the Exhibition area created by the young talented Interior Designers and said, “The exhibition is a dramatic extravaganza which has been aptly styled and perfectly planned modern luxury décor details”. 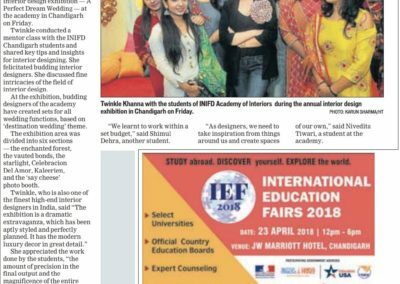 She greatly appreciated the hard work, precision and the magnificence of the Exhibition presented by the students with such intricacy & finesse. She motivated the young brigade of designers by appreciating their creativity, talent and diligence year after year. A Perfect Dream Wedding which is on at INIFD Exhibition Hall, Plot No. 32, Industrial Area, Phase 1, Chandigarh, is a journey that takes you on a trip to experience all the functions of a Big Fat Indian Wedding Extravaganza!